The sun is shining and the birds are chirping. I'm pretending the amazing, mild winter we're having in Chicago will end without any late snowstorms or really cold weather. It's practically summer! * So I'm going to post some flowery stuff. Find pretty botanical labels to print from Packagery right here. Let's make some jam. *I realize I may have just jinxed us and any upcoming blizzards are my fault. You have read this article downloads / printable with the title Printable jam labels and gift tags. 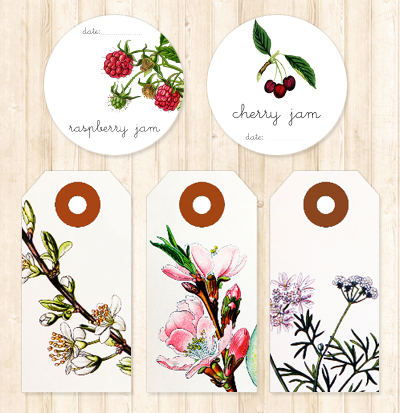 You can bookmark this page URL http://jenkrebs.blogspot.com/2012/02/printable-jam-labels-and-gift-tags.html. Thanks! No comment for "Printable jam labels and gift tags"
What do you know about the Oscars?